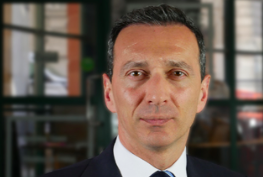 Edinburgh-based fund management firm Martin Currie, the active equity specialist that is part of the Legg Mason group, said it made a “key strategic hire” by appointing BlackRock’s Zehrid Osmani to lead its global long-term unconstrained (GLTU) team. Martin Currie manages more than $500 million in its GLTU strategies and oversees a total of $19 billion in assets under management. Legg Mason managed about $767 billion of assets as at December 31, 2017. “Zehrid’s appointment builds on Martin Currie’s equity capability, as it looks to further extend its presence in the institutional and wholesale markets,” said the firm. “Based in Edinburgh, Zehrid, who joined the business on 14th May reports into John Pickard, Head of Investment. “Zehrid has taken over from industry veteran, Tom Walker, who has stepped down as team head as part of a considered succession plan. “Tom and Zehrid will work together during a transitional period, which will involve the gradual handover of Tom’s key responsibilities. “With over 20 years’ experience, Zehrid brings a depth of knowledge and relevant skills to the role. “He joins from BlackRock where, during his ten years at the company, he played a key part in building their successful European equity franchise. “He held a number of senior roles there, including Head of European Research, with responsibility for a 23-strong team of analysts. “In this role, he developed and implemented a fundamental research platform, demonstrating his strong understanding of equity research. “Zehrid was also responsible for managing a number of pan-European equity funds at BlackRock, with a specific focus on managing the team’s unconstrained, high conviction, long term portfolios, driven by fundamental research. Pickard said: “Zehrid is an outstanding appointment. With such a well-established career in equity investment, he brings experience in high conviction portfolio construction, team leadership and business development. “He is the perfect fit with our investment philosophy and our ambition to accelerate the growth in our assets under management. Osmani said: “I was able to relate to Martin Currie’s investment philosophy and their differentiated, active approach. “I have a strong track record of managing unconstrained concentrated strategies, which aligns itself perfectly to the Martin Currie team’s belief in high conviction equity portfolios, based on fundamental proprietary research analysis. “And as the flagship international active equity specialist within the Legg Mason group, there are also exciting opportunities for Martin Currie to leverage the capability of one of the world’s largest asset management firms and grow assets.